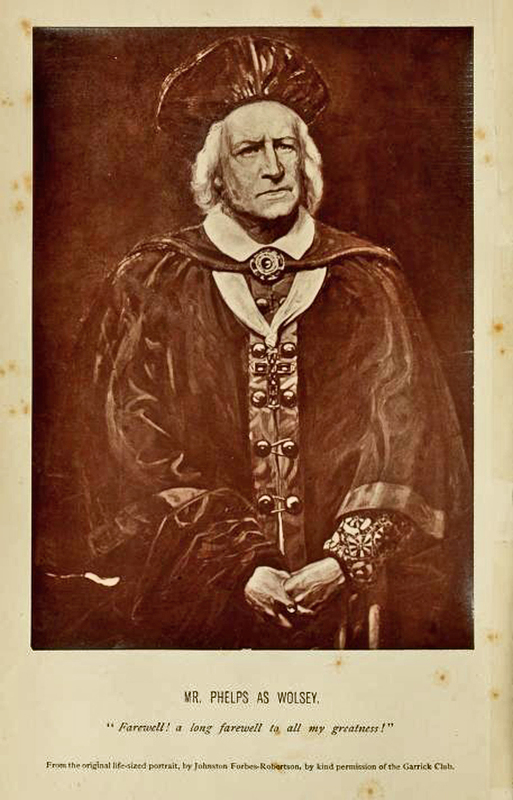 Samuel Phelps (1804 – 1878) was an English actor and theatre manager. He is known for his productions of William Shakespeare’s plays which were faithful to their original versions. Phelps made his début as Shylock in London at the Haymarket Theatre in 1837. He took over the management of the then-unfashionable Sadler’s Wells Theatre and revolutionised the production of Shakespeare’s plays by restoring Shakespearean performances to the original text of the first folio and away from the adaptations by Colley Cibber, Nahum Tate and David Garrick that had been favoured by the theatre-going public since the Restoration. Phelps staged all but four of Shakespeare’s plays at Sadler’s Wells, some of which (like The Winter’s Tale and Measure for Measure) hadn’t been performed since their premieres at the Globe Theatre. Phelps’ most frequently performed role was Hamlet, but he counted Macbeth, Wolsey and Bottom among his greatest achievements. He was generally considered the finest King Lear of his generation, returning to Shakespeare’s version. Phelps other great creation was his Fastaff, which the German publication Gesammelte Werke called his finest role. Sadly, Phelps’ skills declined in old age so that critics no longer cared for his work in tragic plays, approving only his performances in comic roles like Falstaff and Bottom. But in his prime, he was the most versatile actor of his generation. Sir Johnston Forbes-Robertson (1853 – 1937) was an English actor and theatre manager. He was considered the finest Hamlet of the Victorian era and one of the finest actors of his time. 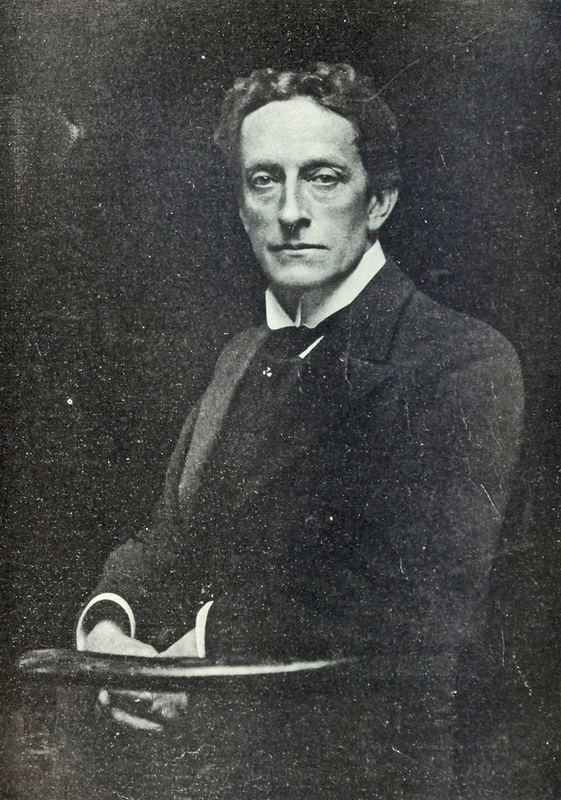 Born in London, he was the eldest of the eleven children of John Forbes-Robertson, a theatre critic and journalist from Aberdeen, and his wife Frances. He was educated at Charterhouse. Originally intending to become an artist, he trained for three years at the Royal Academy. He began a theatrical career, out of a desire to be self-supporting, when the dramatist William Gorman Wills, who had seen him in private theatricals, offered him a role in his play Mary Queen of Scots. His many performances led him into, among other things, travel to the U.S., and work with Sir Henry Irving. He was hailed as one of the most individual and refined of English actors. A statue of Forbes-Robertson by Brenda Putnam (1932) can be found at the Folger Shakespeare Library in Washington D.C. and there is a memorial plaque in Bedford Square, London. W. May Phelps was the nephew of Samuel Phelps. This book is twinned with Theatre of Rags by Francesca Albini (pub. 2017) read more about it here.